It’s very rare to come across someone who doesn’t know Goa, or doesn’t hold dreams to visit it at least once in their lifetime. Goa is the Las Vegas of India, and holds a reputation for the ultimate party destination. Hippies, foreigners, gang of girls, gang of guys, family vacationers, there’s a cultural amalgamation that can be found in Goa. It’s no wonder that Goa has something to cater to all kinds of travellers. 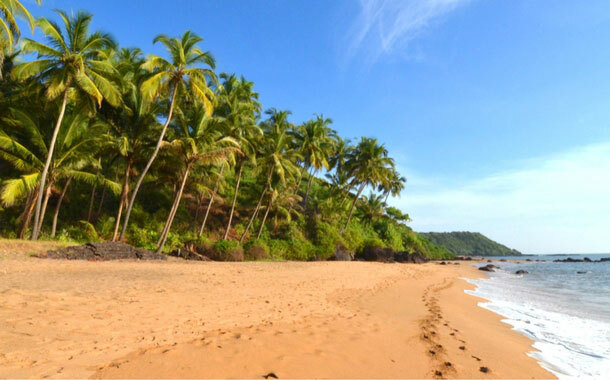 So if Goa's on your mind, we have a list of things that you just have to do! Consider this as your ultimate bucket list. If you’ve already been there, tick off all you have done, and prep for the remaining items. Warning: Mind you, it’s a pretty exhaustive list and will need you to repeatedly go on a holiday to Goa. 1. Visit Baga beach, one of the most happening beaches of Goa. Mind you it tends to get a bit crowded. 2. Go to Britto’s on Baga beach for some good food. While away the time till evening sipping beer and gazing out into the horizon until they begin their karaoke. 3. Candolim, Calungute, Vagator, there are a lot of beach options to choose from. 4. Get a temporary fake tattoo on any of the beaches of Goa. 5. If you’re feeling daring, get a permanent tattoo in Goa. But make sure you get it from a safe and secured place and not a dingy shop to avoid infections. 6. Try parasailing. 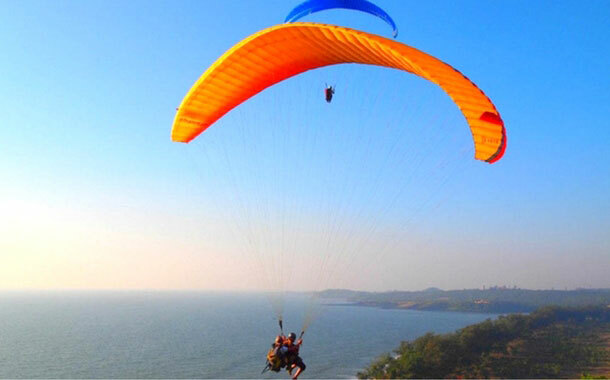 Most of the beaches of Goa give you the option of parasailing. It involves a boat ride to the middle of the ocean and then you’re parachute is tethered to the boat, as the wind takes you high up in the air. It’s fun and totally worth it. 7. Party all night. Goa is famous for its clubs and bars and for throwing wild parties that often end only when the sun rises again, in the wee hours of morning. 8. 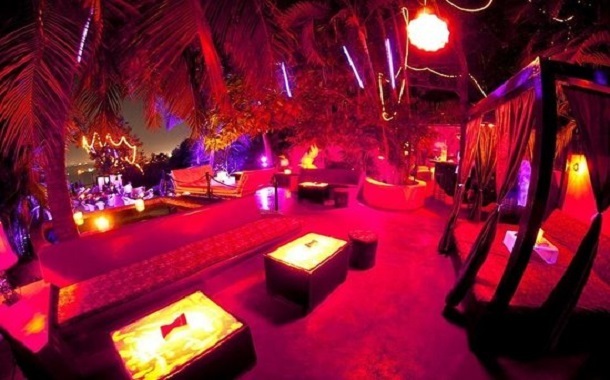 If you’re going with our option 7, then we suggest Club Cubana as a place to party. It’s a private property which moonlights as a club. Up on a hillock, it even has a swimming pool and is known for parties that tend to be on the wilder side. 9. 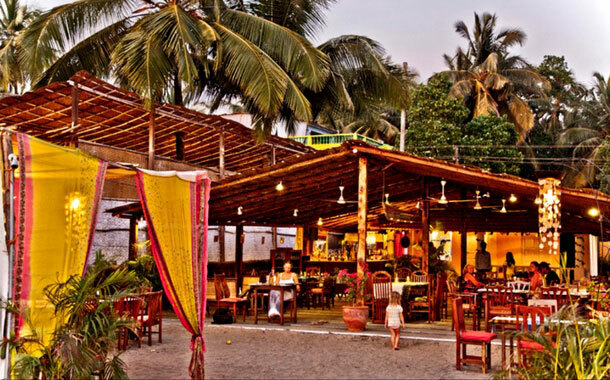 Goa has abundant beach shacks, each with their own unique attractions; be it wooden benches, hammocks or beach loungers. Just put your feet up and relax in anyone of those. 10. If you’re a foodie by nature, Goa will not disappoint you. The seafood here is absolutely delicious and will have you licking your fingers. 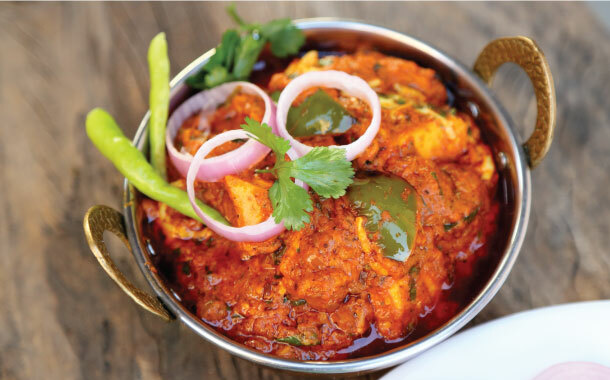 The perfect combination with some fish fry and prawns curry - chilled beer! 11. 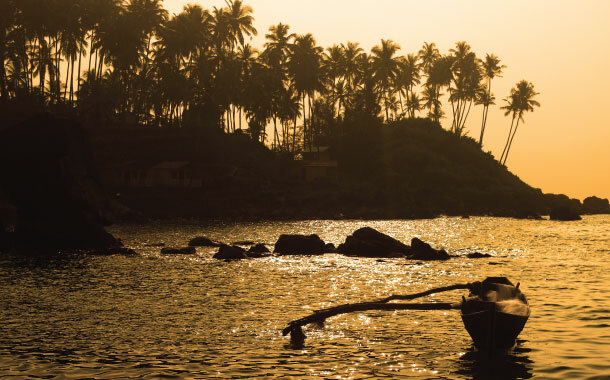 Give all the partying a break and explore some of the other cultural and architectural gems Goa has to offer. 12. Pay a visit to Dona Paula a former village and a current tourist destination. 13. You can even take scuba diving lessons at the beach at Dona Paula. 14. Mingle with the locals. In goa you’ll find a lot of shops and beach shacks that are in fact run by the local people. Have a chat with them to get a real idea of how life in Goa is like. You’ll find it to be very different from the regular traveller’s perspective. 15. If you’re travelling with your friends, try the banana boat ride. Like most of the activities, this too can be found at any of the beaches in Goa. It’s a fun ride meant to be experienced with your friends. 16. Goa has many churches each as pretty as the next one. Visit them to get a cultural feeling. 17. Visit Goa’s spice village or the spice plantation as it is often called. 18. On Vagator beach you’ll find the famous Shiva’s rock. If you’re wondering what it is? It’s the face of Lord Shiva carved on a rock. You’ll see a lot of people crowding around it clamouring to take a selfie. 19. Goa is a place meant only for relaxing on the beaches, and partying at nights is a grievous misconception. There’s a lot here to get your adrenaline pumping. You can try rock climbing and trekking in and around Aguada, Chapora and Arambol. 20. While on the subject of Aguada, visit the Aguada fort, a well preserved 17th century Portuguese fort. 21. Try the Dudhsagar trek. 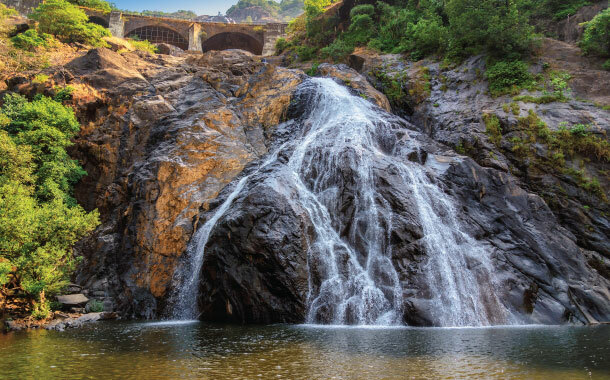 Dudhsagar is one of India’s tallest waterfall, so bear in mind it won’t be an easy trek, but the sight is so spectacular it will definitely be worth it. 22. While north Goa is the commercialised all-party spot, south Goa is the quainter foil to it. 23. South Goa has beautiful old Portuguese quarters that’ll transport you to another time zone and place all together. 24. Goa attracts a lot of people from all over the world. Foreigners are found here in abundance. Mingle and interact with them. There is no better place to get a cultural exposure than Goa. 25. If you happen to be in Goa during weekends, especially on a Saturday, then you must visit the Saturday night market in Arpora. Brightly lit and colourful, this market has stalls of all ranges that sell various things from fedora hats to paintings. There are plenty of foods and drinks stalls as well. The centre of the market area is reserved for band performances where many a people can be caught shaking their legs. 26. No need to feel upset if you happen to miss the Saturday night market, because a similar flea market takes place on Wednesday nights at Anjuna. 27. Try your luck at a casino. Goa has a couple of casinos where you can try to earn a few bucks. But be careful of the gambling as it’s addictive and people have a tendency of getting carried away. 28. Go spot the Dolphin. No need to check twice, you’ve read that right. Not many people are aware, but Dolphin watching takes place at some of the spots in Goa. Mobor beach is one such place where you can indulge in this activity. 29. Splurge out and buy funky jewellery in Goa. Feather earrings, skull necklaces, Goa is known for pretty funky stuff, not just that but you can even get your hair beaded or try dreadlocks. 30. While on the subject of splurging and shopping, this one is for all the ladies. Buy a bikini. You know you’ve thought about it, and you know you secretly want one, so buy it! If not in Goa where else would you do it? 31. Best way to get around Goa? Rent a bike. This will let you traverse the lesser explored inner streets of Goa which has a different charm all together. 32. Watch the sunrise over the beach. The golden rays as they spread and encompass the blue water and the soft sand is truly fascinating. 33. Watch the sunset as well. Wait till the last rays of the sun disappear beyond the horizon. 34. 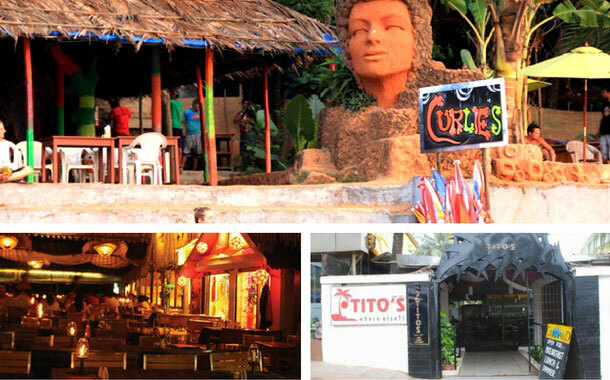 Some of the classic restaurants just have to be visited, like Tito’s, La Plage,and Curlies. Once you dine there you’ll know why these places are famous. 35. 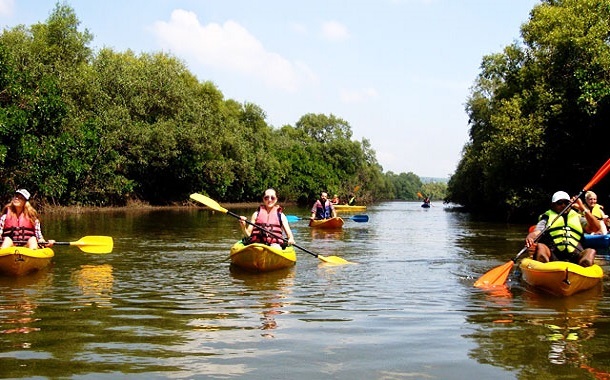 You might have heard of trekking, climbing paragliding in Goa, but do you know you can even try your hand at backwater kayaking? It’s an all year round activity and can be tried even during the rains. Get an up close and personal look at all the flora fauna and vegetation of Goa.